Uptale an Edtech startup, specialized in Immersive Learning. 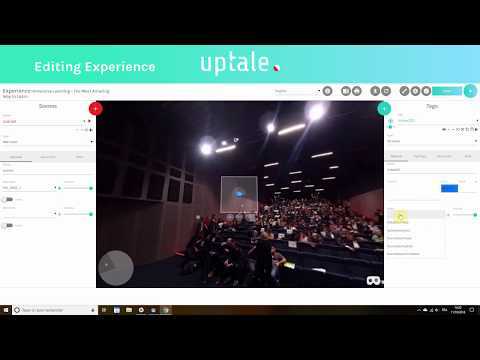 Uptale offers a platform to create, distribute and track training experiences in 360° and Virtual Reality at scale. Organizations such as Disney, L’Oréal, Schneider Electric or Harvard are already using the platform to upskill operational teams, onboard newcomers or create empathy in different situation. Create immersive experiences from 360° videos and photos by adding +50 type of interactions and cognitive services in few hours. No technical knowledge required. Track your learners’ progress in details from complete analytics dashboard or through an LMS. With Immersive Learning, provide hands-on training at scale and ensure 80% new skills retention!